Every great trilogy needs a bad guy. Star Wars had Darth Vader. Scream 3 had Ghostface. The Final Insult had … well, you get the idea. In January 2017, three Oregon football players were hospitalized with acute overexertion rhabdomyolysis (rhabdo). 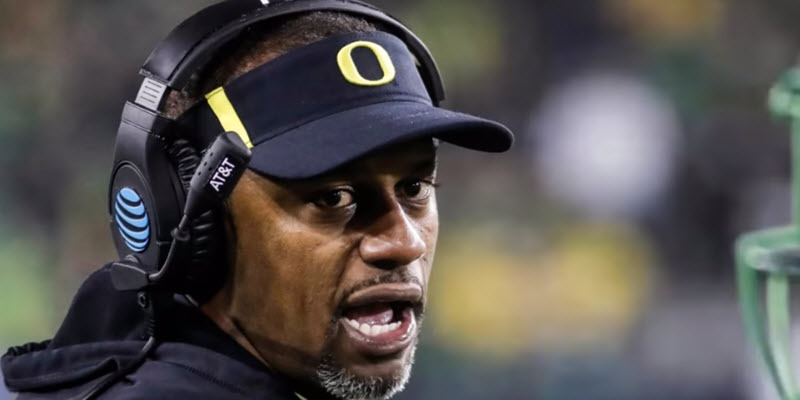 On January 9, 2019, one of them — Doug Brenner — filed an 11.5-million dollar lawsuit against the University of Oregon, its former head coach Willie Taggart, its former strength coach Irele Oderinde and the NCAA. The following day, a second player — Samuelu Poutasi — filed his own five-million dollar lawsuit against the same parties. Two days later, the third — Cam McCormick — issued a statement that he would “not be joining” either lawsuit. Did Brenner commit treason by suing his Alma mater? Did Poutasi bite the hand that feeds him by suing the Ducks amidst hopes of a starting job at left guard? Did McCormick fumble an opportunity for a multi-million dollar payday? Or is there another villain lurking in the shadows? Brenner is suing his former school. Douglas Brenner vs. Willie Taggart et al. was filed in Circuit Court for the State of Oregon, Multnomah County on January 9, 2019. 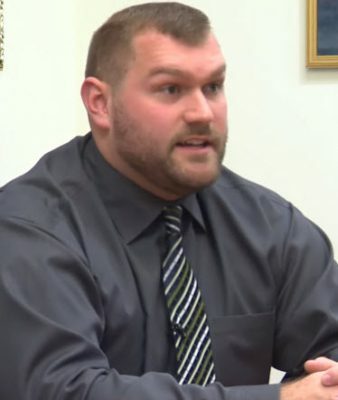 It was filed by Gregory Kafoury, one of the most respected personal injury and civil rights attorneys in Oregon, on behalf of Brenner, a former center for the Ducks. Brenner’s lawsuit revolves around a workout administered by Oderinde on January 10, 2017 — a year after the Ducks’ Alamo Bowl loss against TCU, in which Brenner fired multiple errant snaps over and around backup quarterback Jeff Lockie, and a month after the Ducks hired Taggart to replace Mark Helfrich as head football coach. The workout was as an hour-and-a-half of up-downs as a consequence for the team’s inability to perform pushups in “perfect” synchronicity. The workout was held inside the school’s “perfect” $100 million Hatfield-Dowlin Complex. The “workout” was administered by a newly hired strength coach, who was hired by a newly hired head coach. It started at 6 a.m. on the first day back from winter break, and, according to Brenner’s Complaint, the players were not allowed water. The walls were lined with garbage cans to serve as vomit receptacles. During the workout, Oderinde shouted at players, asking them if they “had blood in their pee yet,” while Taggart threatened to “find the snakes in the grass and cut their heads off.” This was not a “workout” as much as it was a message. Oderinde’s methods have been called into question in light of the lawsuits. Brenner’s Complaint alleges the NCAA publishes “guidelines” against “punitive physical regimens,” with warnings of physical risks including rhabdo, kidney injury and death. But the NCAA does not enforce those guidelines, and Oregon did nothing to prevent the “death by up-downs” workout, even bringing in oxygen tanks on day two. In fact, the school went along with Taggart’s selection of Oderinde, who had no strength and conditioning certification, to replace the long-tenured and duly certified Jim Radcliffe, whom Brenner alleges followed an “evidence-based” training program. Samuelu Poutasi vs. Willie Taggart et al. was filed the day after Brenner’s lawsuit in the same court in downtown Portland, Oregon, a court known for relatively liberal and generous juries. This lawsuit was filed by J. Randolph Pickett, another very experienced Oregon personal injury attorney. The Complaint was filed on behalf of Poutasi, a redshirt junior projected to vie for a starting position at left guard in the fall of 2019. 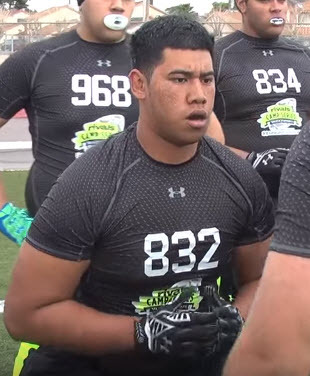 Poutasi was once a highly sought after recruit. Poutasi’s Complaint includes the same allegations as Brenner’s. Truth be told, the Poutasi Complaint is a cut and paste, word-for-word copy of Brenner’s allegations relating to the “punitive” up-down regimen. From all appearances, Poutasi’s lawyer obtained a copy of Brenner’s Complaint on January 9, copied it verbatim, made a few changes to reflect Poutasi’s particular circumstances, and filed it the next day. One of the particular circumstances alleged by Poutasi is that he did not know the up-down workout was “wrong” until he read Brenner’s Complaint and learned that the NCAA had guidelines against punitive exercise regimens, with specific warnings pertaining to the risk of rhabdo. Up against a two-year statute of limitations, Poutasi acted quickly, finding a lawyer to file the “cut and paste” Complaint on January 10, 2019. 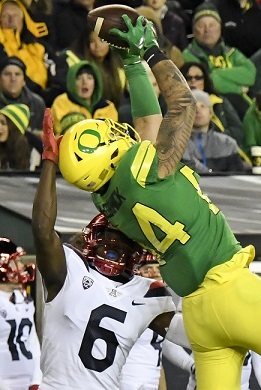 On January 12, 2019, McCormick announced via Twitter, “I will not be joining my teammates in their lawsuit against the University of Oregon.” McCormick, entering his junior season, is projected to compete with Jacob Breeland and Ryan Bay for the starting tight end position next fall. At first glance, McCormick’s statement appears to allow for the possibility of legal action. He is not “joining” his teammates’ lawsuit, but might he be filing his own? He is not suing the University of Oregon, but might he be suing his ex-coaches? McCormick goes up for the grab. In reality, the statute of limitations has almost certainly passed. If McCormick was a minor at the time of the up-down workout and turned 18 less than a year ago, he could still file, but that would make him an extraordinarily young junior. He could potentially argue that the University, Taggart, etc. “hid” the fact that the workout was in violation of NCAA guidelines by doing an internal investigation and telling players that the workouts did not violate any rules, and that the two-year limitations period should start when McCormick actually learned, or should have learned, that the workouts violated NCAA guidelines. But enough legal already. For all intents and purposes, McCormick has made the decision to forego a lawsuit, now and forever. What that means is this: any medical costs McCormick or his family might have paid, the pain he endured, his week-long hospitalization for exertional rhabdo, any future susceptibility to kidney failure, and shortening of his life span or any other untold injuries that he has suffered or will in the future suffer as a result of the “punitive exercise regimen” designed by Taggart and Oderinde will be McCormick’s to deal with, without financial contribution from the University of Oregon, Taggart, Oderinde or the NCAA. For better or worse, McCormick has made the personal decision to put this matter in his past. Taggart remains the head coach at Florida State University. 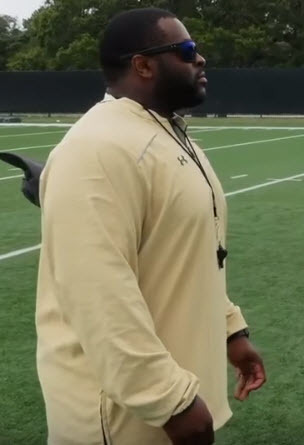 Oderinde remains his strength and conditioning coach. 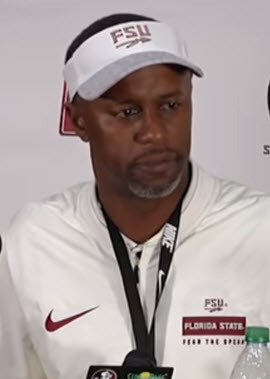 Under Taggart in 2018, the Seminoles finished with a record of 5-7, missing a bowl game. As a public entity, the University of Oregon has the benefit of a statutory two-million-dollar cap on liability. To the extent Taggart was acting within the scope of his authority as a University employee, he would also have the benefit of that cap and would likely be indemnified by the University up to that amount. Both Brenner and Poutasi allege Taggart acted outside his authority. If a jury agrees, any monetary award would come out of Taggart’s own pocket. This potential for personal liability in excess of indemnification limits, and perhaps insurance limits, is likely to create pressure to reach a settlement at or near this limit. Given its historical relationship with Taggart, the University may push for some personal contribution from Taggart. Given that same historical relationship, Taggart may find a way to slip free.